Singapore, 17 October 2014: Asia’s leading M.I.C.E company Sphere Exhibits and the Embassy of Korea proudly present the inaugural Kstar Fanfest, Singapore’s biggest K-pop fan celebration and the grand finale of the two-month long Korea Festival. Headlined by the hottest of Korea’s new wave of pop powerhouses, the two-day spectacular is slated to take place on 21 and 22 November 2014 at the Marina Bay Sands Convention Hall. It’s the first time K-Pop stars are being brought together with celebrity fans from Singapore’s social media scene, including Deekosh, Rachel Wong, Evelyn Quek, and Sylvia Tham to share and spread the Hallyu excitement. Centred around what fans want and crave, eventgoers can expect nonstop excitement and unprecedented access to their idols. Fans can catch a rare glimpse of their idols at work before the performance at the soundcheck party; while free ticket upgrades, a hi-five session and personalised premiums are just some of the other things lined up to bring the Kstars a little closer to those who just can’t get enough of them. A trip to Korea including backstage passes to Music Studios in Korea is also up for grabs in a lucky draw. In addition to the two-day lineup, pre-event discounts, contests and promotions will also be announced on the official website (www.kstarfanfest.com) and supported by shoutouts from other Singaporean bloggers such as Miyake Ng, Yutakis James, Chloe Choo and more. 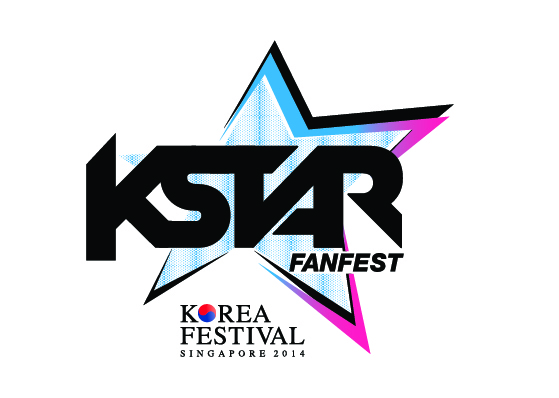 Kstar Fanfest is the grand finale of Korea Festival 2014, which is in its second edition this year. Launched on 24 September, the two month-long festival is a run-up to the ASEAN- Korea Commemorative Summit this December in Korea and next year’s 40th anniversary of Singapore and Korea’s diplomatic relationship. Korea Festival aims to promote friendship between Singapore and Korea by showcasing 12 world-class events featuring the best of modern and traditional Korean culture, content and industries. The two-day finale on 21 and 22 November features Kstar Fanfest as well as a separately-ticketed section with a host of exciting exhibitors, happenings and giveaways. These include a fashion show by Korean label Lapalette, tech showcases of the latest mobile and electronics from Samsung and LG, Korean street delicacies from Korean buffet restaurant Todai, snacks from confectionery giant Lotte, car showcases and special offers from Kia, fun games and activities with attractive prizes from the Korean Tourism Organisation, sports events, Tae Kwon Do demonstrations, K-pop dance competition finals, and exhibitors such as Innisfree, Naver Line and much more. One of the most sought-after Korean girl groups right now, Girl’s Day burst onto the scene in 2011 with their hit single Twinkle Twinkle and their spicy but mostly sweet image. After a slew of hits like Expectation, Female President and Something, the four-member girl band went on hiatus and returned this year with a new mini-album Everyday 4. Sojin, Minah, Yura and Hyeri have adopted a brighter, livelier look and sound, and their comeback track Darling went straight to number 1 on major Korean music charts. Formed in 2011, B1A4 were first introduced to the world through webtoons featuring members Jinyoung, Sandeul, Baro, CNU and Gongchan as characters. Cute, colourful and funky, B1A4 made their debut soon after with the track O.K off their first EP Let’s Fly the first of many upbeat electropop tracks that make up their musical repertoire. They recently released their 5th mini album with Solo Day as the title track, and are slated to embark on their US ‘Road Trip’ concert tour in October. Darryl Ian Koshy, also known as Dee Kosh Singapore’s reigning YouTube personality since 2010, with over 49,000 subscribers on his YouTube channel, 7,000 followers on Twitter and 51,000 followers on Facebook. He has also deejayed on 987FM, interviewing stars like One Direction, Demi Lovato and Jay Park; and has hosted a number of events, including the FHM Model Search 2013, Big Bang’s “Thinking Of You” fanmeet, and most recently, the YouTube Fanfest 2014. Rachel Wong, better known by her pseudonym rchlwngx, is a Singaporean blogger who writes about fashion, food and beauty, with 7,000 followers on Twitter and 83,000 followers on Instagram. Her main blog, which attracts thousands of readers daily, was listed among Singapore’s top 40 bloggers and earned her sponsorship deals. She is a graduate from Lasalle College of the Arts pursuing fashion design, loves hip hop and playing with her pup Chloe . A warm baby-faced multi-talented artiste, Evelyn has hosted several TV programmes on Okto/Kids Central since 2000 and is also a professional events emcee, voice-over talent, actress and singer. Effectively bilingual in English and Chinese, she also speaks Teochew, Hokkien, Japanese, Bahasa Melayu, and most recently, Korean. Her voice is often heard on TV and radio programmes and jingles in Singapore and Asia. A veteran of Singapore’s emcee scene, Sylvia is a familiar face online and offline. With her quick wit, bubbly personality and strong stage presence, it’s no wonder she’s been hosting, deejaying and singing for almost 20 years. A consummate performer, Sylvia is effectively bilingual in English and Mandarin, and also speaks perfect Cantonese. Held within Marina Bay Sands Convention Hall C on Thursday 20 November (Girl’s Day) Friday 21 November (B1A4) fans can watch the proceedings as their idols do their soundchecks. Open to VIP and Premium ticket holders only. After the music showcase, the arena will turn into a massive K-pop dance party complete with a Korean Guest DJ and K-pop dance tracks. Open to VIP and Premium ticket holders only. Right after the music performances, VIP ticket holders will be invited to come up onstage and give their idols a friendly hi-five, giving them the chance to touch them for a precious moment. VIP ticket holders stand a chance to win exclusive VVIP backstage passes via fan contests and meet their idols face-to-face. VVIP passes are invitation-only and are not open for sale. Every week, two lucky Premium and Superior ticket holders stand a chance to get bumped up to the next-highest category via contests on official social media channels, Facebook, Instagram and Twitter. VIP and Premium ticket holders will enjoy exclusive band merchandise bundled with their ticket. Fans can submit their questions on Facebook to Girl’s Day and B1A4 separately. The three questions which gather the highest number of likes for each band respectively will be answered at the event. These lucky fans will each receive exclusive Girl’s Day merchandise on stage. Weekly contests are held until the event on Facebook and winners stand to receive exclusive Girl’s Day and B1A4 merchandise. Ticket holders from all categories are automatically entered into a lucky draw to win Kstar merchandise and a trip for two to Korea including a pair of return air tickets and backstage passes to Music Studios in Korea. Draws will be conducted during both music events on 21 and 22 November. Open to the general public. Simply subscribe to our newsletter on www.kstarfanfest.com and like/follow all our social media platforms and stand to win the latest Samsung Galaxy gadgets and more from the participating brands. 2-Day Pass Package Promotion runs from 18 Oct to 2 Nov 2014. 2. Visit any of the authorised agents and event partners located in Singapore to purchase your tickets from 27 Oct 2014 onwards. While stocks last. Payment by cash, NETS and all major credit cards. Sphere Exhibits is the M.I.C.E arm of Singapore Press Holdings. Established in 2008, it is behind many successful consumer events in the Southeast Asian region such as the COMEX IT Show, World Food Fair, Asian Masters, Gourmet Japan, Gusto Italiano, Beerfest Asia, The Kidz Academy and BabyBaby; as well as a number of trade events. Diplomatic ties between Korea and Singapore were established in 1975 and today the two countries are in the top six of each other’s economic trading partners. Korean pop culture is a strong source of cultural exchange and friendship between the two countries, and enjoys great popularity in Singapore.